An exciting combination of fabrics makes Coco a talking point and the deep buttoned upholstery gives a distinctly retro look. Elements is one of the most extensive and versatile soft seating ranges available in the UK. 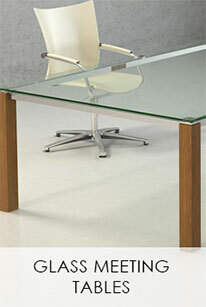 The Cambridge Glass Coffee Table will add grandeaur to any lounge environment , Domestic or Office. Solid Wood Legs and 10mm Toughened Glass supported on a Polished Chrome Frame. The Appearance of a floating top creates the added dimension of Quality. Chicago a bold and memorable design intended to make a statement. Shown in Hide but also available in Fabric. Iconic! Serene offers all that could be expected of a hand crafted coffee table. Serene will adorn any lounge or reception area.Sarene offers sold wood box ended supports mounted on a stainless steel plinth and a 10mm toughened glass top and undershelf. 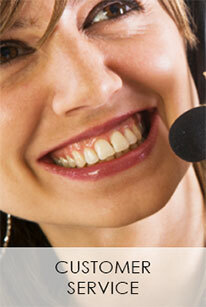 Budget Busting Reception Counter comprises of 3 units, 1 No. 1600mm wide, 1 No. Corner 800mm Section with Glass Shelf and 1 No. 800mm Unit. When style and appearance is important but you don't want to pay the earth! Consider the Exite Range of Modular Reception Counters. Image shows Madison with a Walnut Veneer Top, Clear Toughened Glass, White Laminate Frontage with Inset Chrome Bands and Chrome Plinth. Truly Beautiful! Built to keep it`s good looks for 10 years at least. Atrium is built from the strongest of materials and is a modular system, so you can choose the modules and create your own reception area. Affordable Reception Desks and Counters - made in the UK with a wide range of Reception Unit options. All Florence 'Lit' Modules have pre-installed downlighters as standard complete with a safe connector system. 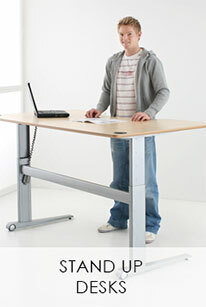 Genese is not just a Height Adjustable Desk ! It is a furniture system with tables and storage to compliment the range. Q10 takes Height Adjustable Desks to a higher level. Electrically Driven with the LInaK DL8 Actuator System.Perfectly matched to the Sprinter Storage System to provide a stunning suite of contemporary office furniture. Sprinter offers the choice of colour and wood finishes to provide a modern interior design for your workplace. Mobile and static storage options with a full range of accessories. 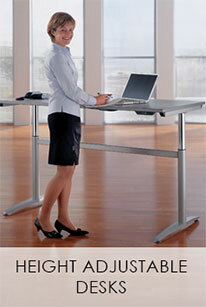 Perfectly compliments the Q10 & Q20 Range of Sit Stand Desks. Non Stop is a universal storage program designed to compliment the full range of Sit Stand Desking Systems. Personal Storage , Mobile Multi Cabinets And Bulk Storage Options. Full Range of accessories and storage internals. This extensive range of shapes sizes and finishes allows the personalisation of any workplace . Designed to compliment the Genese Sit Stand Desking System. Genese Storage offers a full range of Danish designed cupboards and storage facilities. Genese My Cabinet offers personal storage whilst the Genese Storage offers the group and task storage systems. 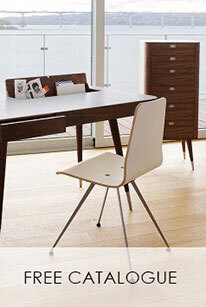 Let your Height Adjustable Desk prove it`s flexibility. Clean Crisp Lines assist discussion and interaction. 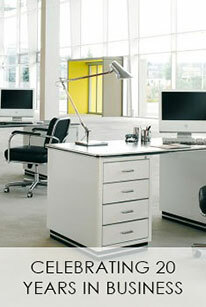 A General Office with Q20 Desks in White and Complimentary Storage. "Flight " offers the warmth and feel of real wood veneers supported by a polished chrome frame at a price that reflects it`s quality. The flight top is 20mm with a square edge detail. Simple and Functional - Made in the UK. The tip up seat allows efficient and simple nesting of the Cube Chair whilst providing practicality with it's space saving design. Reunion provides a wide choice of table shapes and sizes with stylish glass shelves and compatible storage accessories. Lynestock offers a fully welded frame creating a very strong and robust seating system, available as 4 Legged or Cantilever Style, with or without arms. Integral Arms as standard with a Polished Chrome Cantilever Frame, looking good in Black Leather. Simple, stylish and functional Ambassador Meeting Chairs offer comfort at a reasonable price. Available as 4 Legged or Cantilever Style.